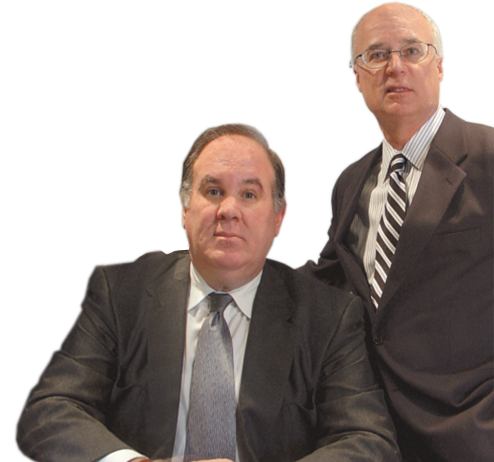 Our Firm’s Primary Area of Practice is Workers’ Compensation Law ……..
Don Clemens and Patrick Vitullo have a combined total of over 60 years of experience in this highly specialized area of Pennsylvania law that affects thousands of Pennsylvania citizens daily, whether on a temporary or permanent basis. They have successfully litigated hundreds of workers’ compensation cases for their injured clients. All the work is done on a highly personalized basis. Simply Put: They Do The Work Themselves! Your case is not handled by a paralegal. It is handled by a senior attorney with many years of experience. This policy differentiates Clemens & Vitullo, P.C. from many other law firms. Our concentration and primary practice area remains in workers’ compensation. However, through our extensive Attorney Referral Network, Clemens & Vitullo, P.C. can further assist you, by means of referral to a reputable experienced attorney with regard to other areas of law such as Personal Injury, Social Security Disability, Medical Malpractice, Product Liability, and other areas of Employment Law and Industrial Industry Litigation. more about Clemens & Vitullo, P.C.